Charlie Kaufman has long been an original in Hollywood. As a scriptwriter he has been nominated for a trio of Oscars — Being John Malkovich, Adaptation and Eternal Sunshine of the Spotless Mind (winning for this 2004 film) — but his latest offering garnered him his fourth Oscar nomination, not as a writer, but as the producer of one of the five Best Animated Film contenders. The film in question is Anomalisa, which is an adaptation of his own stage play from 2005. The stage play was written under the pseudonym of Francis Fregoli, which, in turn, was a clever spin on the subject of the play itself (the Fregoli Delusion disorder). Now everyone with an Oscar ballot knew that Inside Out was a lock for Best Animated Film. That’s just the way things work. But so original is Anomalisa as a film — unique; special — that it really deserved its own category. Indeed, Kaufman felt that the only person best capable of handling the directing efforts was himself and completely went the “indie” route via a Kickstarter campaign to raise the necessary funds to finance the project. It was completed after two arduous years and finally made its festival debut at the Telluride Film Festival in September of last year. It was promptly snapped up by Paramount for both theatrical and home entertainment distribution. 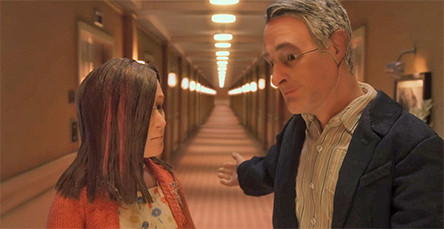 Word arrived this past week that Paramount Home Media will be releasing Anomalisa as both DVD and Blu-ray/DVD Combo Pack offerings on May 3. The ARR for that street date is 125 days and domestic ticket sales for the film’s limited major metro theatrical run currently stands at $2.7 million. 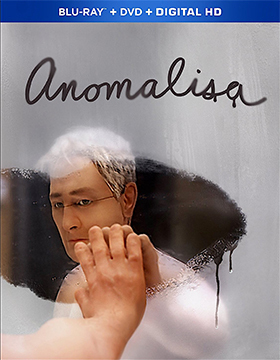 What is important to note about Anomalisa is that it was a Best Animated Feature contender — lots of visibility for that — but its widest theatrical release was only 169 screens nationwide. That means that virtually (speaking) no one has seen the film … which brings the May 3 DVD and Blu-ray/DVD Combo Pack debut from Paramount Home Media as the first chance for most consumers, especially fans of Kaufman’s work, to enjoy this incredible film. The gist of the story is Michael (voiced by David Thewlis — as Remus Lupin in the Harry Potter film series) is a well-renowned writer and “customer service” expert, who, sadly, suffers from the Fregoli Delusion disorder. This causes him to see everyone around him as the exact same person, with the exact same voice (all voiced by Tom Noonan). This all changes while in Cincinnati at a conference when he hears a voice that is different from everyone else and becomes infatuated with the woman speaking those golden tones. Her name is Lisa (voiced by Jennifer Jason Leigh), a plain jane with a facial scar, but Michael finds her ravishing. Is he about to have a breakthrough? Or, a breakdown!! That’s the fun of this mesmerizing film … be sure to check Anomalisa out on May 3. 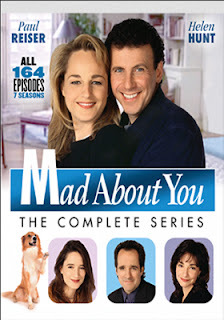 Mill Creek Entertainment teased its release plans for early May last week with the news that the Helen Hunt/Paul Reiser hit comedy series, Mad About You: The Complete Series (all 164 episodes in a 14-disc box set), would be available for fans to enjoy on May 3. That was just the tip of the proverbial iceberg. The May 3 release calendar was fully revealed this week and there are some very sweet treats in store for action fans on that first street-date Tuesday of the month. The hit parade of action series kicks off with both DVD and Blu-ray collections of Airwolf: The Complete Series. 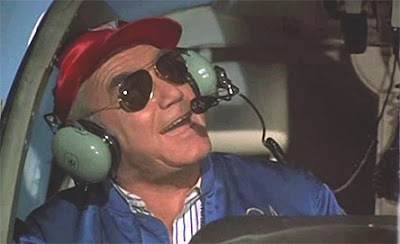 All 79 episodes (the full four seasons) are presented in 14 disc collections — this includes the first three seasons starring Jan-Michael Vincent, Ernest Borgnine and Alex Cord, plus the fourth season revamp featuring Barry Van Dyke as Jan-Michael Vincent’s brother and Michele Scarabelli as Borgnine’s niece. 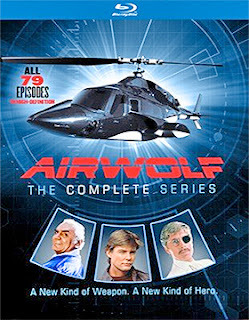 For those looking to build their Airwolf collection incrementally, Mill Creek Entertainment also has Airwolf: Season One on the May 3 release calendar as well. Not enough action to satisfy your adrenaline cravings? No problem! Also planned for release are David Hasselhoff’s 1980s high-octane action series, Knight Rider: Season One and Knight Rider: Season Two (both are four-disc DVD collections showcasing the 22 episodes from each season) and the Don Johnson/ Philip Michael Thomas’ stylish detective series, Miami Vice: Season One and Miami Vice: Season Two (both are also four-disc DVD sets). Not done yet! Also being released by Mill Creek Entertainment on May 3 is the 13-part, three-disc collection titled Making a Serial Killer. This intense look at some of the most frightening mass murderers of the past 100 years examines the crimes and case studies of such notorious killers as Ted Bundy, the Columbine shooters (Eric Harris and Dylan Klebold), Charles Manson, the mysterious Zodiac killer and more. 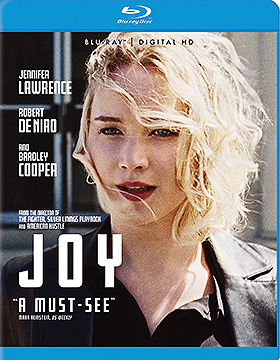 20th Century-Fox Home Entertainment will bring director David O. Russell’s Oscar-nominated (Jennifer Lawrence for Best Actress) biopic, Joy, to the home entertainment market place on May 3. Planned for delivery to retail on that date are both DVD and Blu-ray editions, plus the release of a day-date 4K Ultra HD/Blu-ray Combo Pack. The VOD window begins on Apr. 8. That first Tuesday in May street date yields an ARR of 130 days and ticket sales generated during the film’s Christmas opening currently stand at $56.4 million. Jennifer Lawrence earned her fourth Oscar nomination for her portrayal of Home Shopping Network mop queen Joy Mangano — her previous nods were for Winter’s Bone and Silver Linings Playbook in the Best Actress category (winning for Silver Linings Playbook — of note, David O. Russell was nominated as both Best Director and for his writing adaptation of Matthew Quick’s novel) and a Best Support Actress nomination for her performance in another David O. Russell film, American Hustle. Bonus features — limited to the Blu-ray and 4K Ultra HD/Blu-ray Combo Pack SKUs — are a photo gallery, the featurette titled “Joy, Strength and Perseverance” and video session hosted by Maureen Dowd featuring Lawrence and Russell. 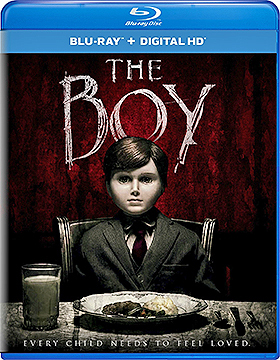 Not since Sir Anthony Hopkins battled Fats in director Richard Attenborough’s 1978 film release of Magic has there been anything quite like the terror tug-of-war that Lauren Cohan (as Bela from the Supernatural television series; as Rose from The Vampire Diaries) faces in director William Brent Bell’s The Boy. Universal Studios Home Entertainment has tagged May 10 as the release date for both DVD and Blu-ray editions (VOD is set for Apr. 26). That May release date yields an ARR of 109 days … ticket sales from the film’s January theatrical run reached $35.1 million. Poor Greta (Cohan), she is the latest in a long string of nannies hired by the Heelshires (played by Jim Norton and Diana Hardcastle) to watch over their son, Brahms. The money is good and the job so far away from a bad relationship stateside is a blessing, but — and it is a big but — the young lad she is charged with caring for is nothing but a doll. Seriously, a life-size porcelain doll. The Heelshires give her specific instructions — that must be followed to the letter — or things could go awry. “Be good to him and he will be good to you,” how creepy a warning is that. And then there’s the list of instructions, which is ominous in its own right — example, “Don’t Cover His Face.” If you do, what happens? After this initial encounter, the Heelshires go on holiday and promptly kill themselves, leaving Greta alone with the doll. If everything leading up to this point was unsettling, we are just getting warmed up — a haunted house thriller of the first order that is jammed with jolts galore and clever plot twists! There appear to be no bonus features associated with either the DVD or Blu-ray product offerings. 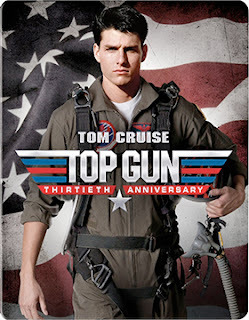 Paramount Home Media announced this past week that Maverick, Goose and the Iceman will be taking to the skies once again on May 3. That’s the launch date that has been selected for director Tony Scott’s Top Gun: 30th Anniversary Edition, which will be taking the form of a limited edition Steelbook Blu-ray/DVD Combo Pack. On July 18 in 1984, James Huberty walked into the McDonald’s in San Ysidro — on the US/Mexico border — and began “hunting humans.” By the time S.W.A.T. brought an end to his murderous rampage 21 people were dead and another 19 were injured. The following year, director Mark G. Gilhuis teamed with writer Philip Yordan to bring the story to the screen under the title of Bloody Wednesday. Raymond Elmendorf played “Harry,” who is more or less based upon James Huberty. There are other changes to the actual events — call that dramatic license — but the gist of the story is there … crazy nut snaps from reality and shoots up a fast food restaurant. For reasons that are not all that clear, Bloody Wednesday got completed and then shelved. Two years went past (1987) and the film ended up as a direct-to-video VHS release through Prism Entertainment. When Prism folded, schlocky Simitar Entertainment somehow ended up with the master and churned out a dreadful VHS-EP version (geeze, really). 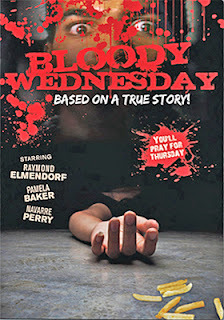 Years passed and then Madacy Entertainment put out a chopped-up version of the film as part of a five-film “Bloodfest” promotion in early 2011. 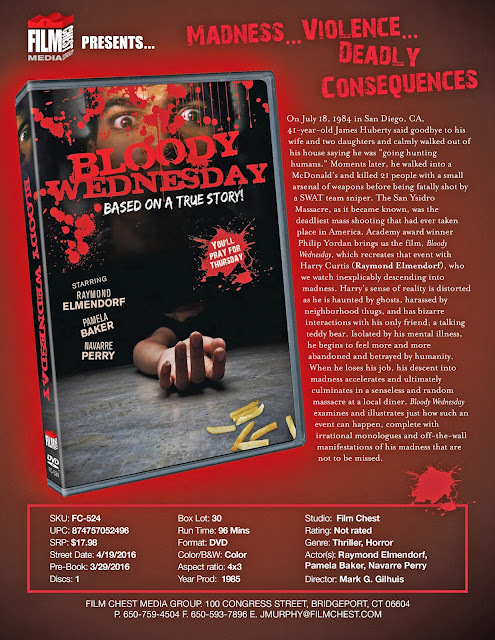 Basically, genre fans have been given the short stick on this film since day-one, but they can now rejoice as word arrived this past week that the Film Chest Media Group will be releasing a restored, uncut edition of Bloody Wednesday on DVD on Apr. 19 … a thirty year journey from concept to DVD finally comes to an end. From 1992 through 1999 — seven full seasons — NBC had a hit comedy starring Helen Hunt and Paul Reiser that received an astounding 34 Emmy nominations, including four wins in a row for Helen Hunt as Best Performance by an Actress in a Television Series - Comedy or Musical. All you have to do is mention the names Hunt and Reiser and fans immediately know that you are talking about Mad About You. Mill Creek Entertainment announced this past week that Mad About You: The Complete Series — a colossal 14-disc DVD set featuring all 164 episodes — will be available for fans to own on May 3. In addition to seven full seasons of laughs, Mill Creek Entertainment has packed in bonus goodies that include selected episode commentaries, a blooper reel and a number of featurettes (and more). 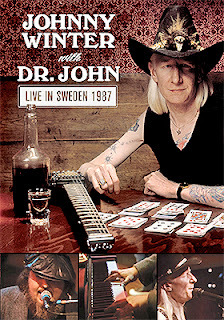 It has been around since the bygone days of VHS and there have been bootlegged DVD editions floating around the globe (even from Japan) of dubious quality, but now fans of blues-rock legend Johnny Winter can rejoice with the news coming from MVD Entertainment Group that the Sonet Studios session with Dr. John titled Johnny Winter & Dr. John: Live In Sweden 1987 will be available on DVD on Apr. 22. 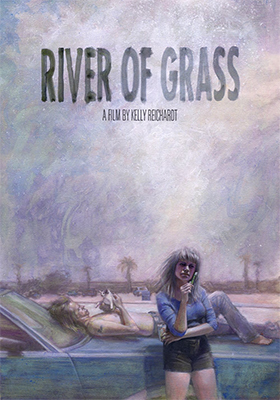 A year-long journey by Oscilloscope Laboratories to restore Kelly Reichardt’s 1994 debut film, River of Grass, reaches its conclusion on Apr. 26 with the release of both DVD and Blu-ray editions. Reichardt has long been a favorite of the film festival circuit, raking up award after award for her films — Wendy and Lucy, Meek’s Cutoff, Old Joy, Night Moves, etc. — so it was only natural that Oscilloscope Laboratories would be the source to undertake the 2K restoration (in cooperation with UCLA). After all, they have already released two of her films to the home entertainment market place — the aforementioned Wendy and Lucy (in 2009) and Meek’s Cutoff (2011). The film stars Larry Fessenden in one of his early roles — since the early ‘90s he has become one of the leading independent writers, producers and actors in all of film land. A very busy fellow and, indeed, he would come to produce both Reichardt’s Night Moves (2013) and Wendy and Lucy. His co-star, Lisa Bowman, made her theatrical debut with River of Grass and does double duty as both Cozy Cole, a 30ish mother of two trapped in a loveless marriage, and the dead pan narrator of the film. Her co-star, Fessenden plays Lee Ray, a slacker about to turn 30 who lives with both his mom and grandmother and literally has no future; a dolt of the first order. The two live near Florida’s everglades, hence the title, and manage to find each other one Bonnie and Clyde; Mickey and Mallory they are not … well, maybe they are, but extremely low energy versions thereof. The only thing they have in common with the better known crime couples is that they are on the lam — except maybe they are not being pursued by anyone. In any case, and this is the fun of Reichardt’s film, they are both so inept that escape from the area is akin to being trapped in a Twilight Zone episode. evening at a local bar. Oscilloscope Laboratories unveiled the new film restoration at both the Sundance Film Festival and Toronto International Film Festival and has placed the film in limited arthouse release. Bonus features include a commentary track teaming Kelly Reichardt with actor and producer Larry Fessenden and a featurette demonstrating the restoration process. Arrow Video, with domestic sales and distribution expertise provided by MVD Entertainment Group, has selected Apr. 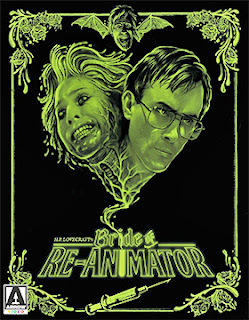 12 as the street date for a new 2K restoration of director Brian Yuzna’s 1989 horror delight, Bride of the Re-Animator. Planned for release are Blu-ray/DVD Combo Pack edition featuring two separate Blu-ray viewing options — the original theatrical release (also a 2K restoration) and a director-approved unrated cut of the film — the companion DVD disc is also the unrated cut. 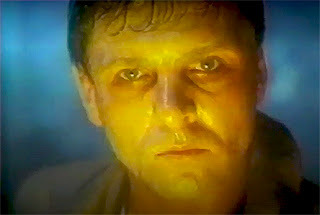 This cult follow-up to director Stuart Gordon’s 1985 award-winning film adaptation of H.P. Lovecraft’s serialized short story from the 1920s, “Herbert West–Reanimator,” (titled simply Re-Animator) features a newly-prepared commentary option from director Brian Yuzna (Society, Return of the Living Dead III, Progeny, etc.). 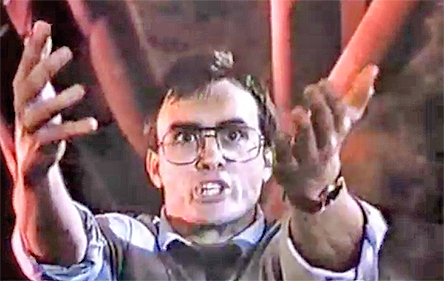 Plus there are two vintage commentaries — one featuring Yuzna, who is joined by Jeffrey Combs (reprising his role here as Dr. Herbert West), visual effects supervisor Tom Rainone and the f/x team (John Buechler, Mike Deak, Bob Kurtzman, Howard Berger and Screaming Mad George) and the second teaming Combs with his co-star Bruce Abbott (Dr. Dan Cain). 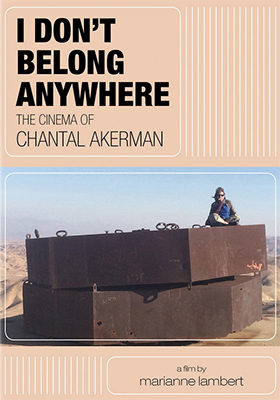 Icarus Films announced this past week that documentary filmmaker Marianne Lambert’s I Don't Belong Here: The Cinema of Chantal Akerman, an intimate look at the life and work of the late Chantal Akerman, will be available on DVD this coming May 10. Presented in French, with English subtitles, the film examines her film career (some 40 films) and her life … Lambert is joined in this journey by Akerman’s long-time filmmaking associate and film editor Claire Atherton (Tomorrow We Move, South, etc.). The documentary itself also includes clips from many of her films, including her last film, No Home Movie. Of note, Icarus Films already has on its DVD release calendar the Mar. 29 release of Chantal Akerman: Four Films, which includes From the East, South, From the Other Side, Down There and the documentary filmmakers Gustavo Beck and Leonardo Luiz Ferreira’s 2010 film, Chantal Akerman, From Here.